The last several weeks we’ve been discussing human interaction skills and how important they are to exemplary performance. During the time we’ve been writing this series of blog posts, we’ve encountered a real life example that illustrates our point. We’ve been mapping a highly technical role involving specialized programming skills coupled with data mining and analytics. In other words, it is the epitome of a highly technical job—exactly the type of job where we would expect people to be appreciated and recognized for their technical excellence, but those expectations would be misleading. We asked the managers of these highly technical people what key factors they looked for when hiring people into this role. Frankly, we expected to hear answers about technical depth or strong programming skills or extensive subject-matter expertise. But that’s not what we were told. Instead the managers said that the secret ingredient was the top performers’ ability to translate their technical findings into stories that would influence business leaders to change their behavior. For the most part, all of the performers were equally adept at the technical side of the work. But the best were able to glean insights from their technical work and convert those insights into actionable results via the proficient application of human interaction skills. Are you valuing the right skills in the right proportions as you build a top performing team or organization? Top Performer Perspective: Human Interaction Skills—Should You Spend Time Improving Them? If, as we have been arguing, human interaction skills are critical to workplace success, then what should people who aspire to excellence do? Conventional wisdom says our innate personalities drive our ability to interact with others in the workplace. We are who we are—we just have to accept that. But what if this conventional wisdom is wrong and is serving simply as a convenient excuse for poor outcomes in this area? What if we can move some of those innate human interaction behaviors in a positive direction? The media constantly reminds us that reading proficiency is strongly correlated with overall academic performance as well as our well-being as adults. Yet a recent study from Pew Research—Who Doesn’t Read Books in America?—finds that one quarter of Americans did not read a single book in the past twelve months. As authors of a book we hope people read and enjoy, that statistic is pretty depressing. But it also raises a more significant question: if people don’t read, how will they improve their reading skills and glean at least some of the insights possible from reading? We believe the same principle applies to human interaction skills. If people don’t make it a point to interact with other people in the workplace, then how will they improve their human interaction skills? If you want to improve your relationship-building skills, build relationships. Of course, we’re not asserting that it’s easy. It’s not. In fact, it’s quite difficult. When relationships don’t come naturally, voluntarily taking the difficult actions required to develop and nurture new relationships is often painful. But looking back at the list of differentiators between top and average performers and realizing that so many of them are related to human interaction skills, we are confident that the pain is worth it! What have you done recently to develop your ability to interact with those around you at new levels? As we think about human interaction skills, it’s worthwhile to put the idea into balance. In our last post, we talked about Geoff Colvin’s assertion that human interaction skills are significant contributors to performance success. Let’s add Harvey Coleman’s perspective that excellent technical performance is only the price of admission and that the game is won through human interaction skills. Taken together, we could easily focus too heavily on human interaction skills to the exclusion of technical excellence. Note that focusing too much on technical excellence only results in compliant execution. But ignoring technical excellence results in nothing more than hopeful frustration. 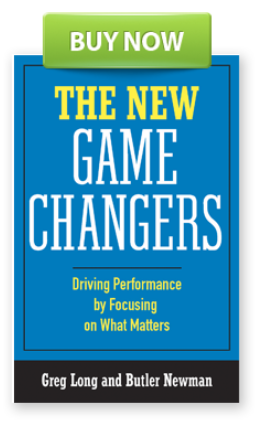 Only through balancing both are top performers able to produce the game-changing outcomes that drive success. How well do you balance technical excellence with skillful human interaction?